Posted on Thursday, December 6th, 2012 at 11:57am. Ski access in the winter, hiking and biking trails in the summer. The Skier Bridge crosses Park Avenue in the middle of the photo. Most ski towns have a main street or downtown area where most of the town’s shopping, dining, and nightlife occurs. Obviously, communities with skiing also feature many ski in and ski out properties. Most ski town visitors or property owners generally pay a premium to have convenient access to either. The Bridge to Somewhere very fun... 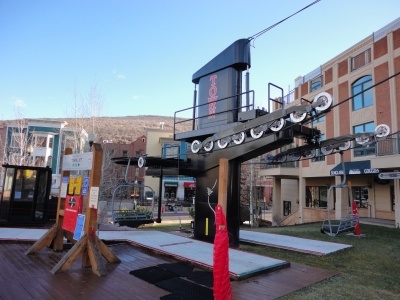 Ski access in the heart of Park City. 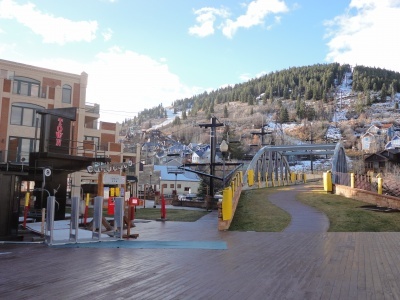 Park City offers real estate blessed with the ideal combination of both ski in, ski out access via the Town Lift and runs operated by Park City Mountain Resort and direct access to Main Street. 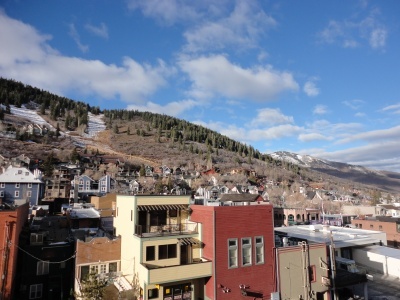 This confluence of world class skiing at Park City Mountain Resort and our Historic Main Street-creates some of the most sought after real estate in Park City or anywhere in North America for both owners and visitors. 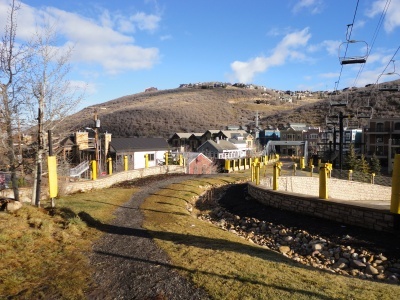 This area is rich in the history of Park City. Multiple historical landmarks, restored storefront and residential gems and Old Town Charm add to the flavor and atmosphere. The Town Lift Ski Runs are in the upper left side of this picture. Park City offers many property types that feature both amenities- with 2 bedroom full ownership condominium options beginning at around $300,000. 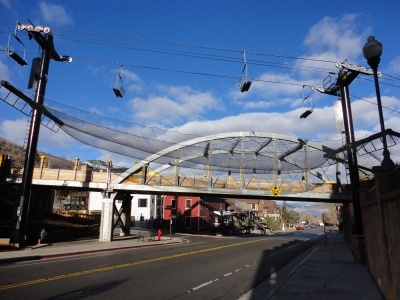 Also, some of Park City’s most luxurious homes and condominiums are located in this area. The Caledonian is at the base of the Town Lift and is right on the Town Lift Plaza. Steps away from the lift and runs, High West and Butchers.